WOW! 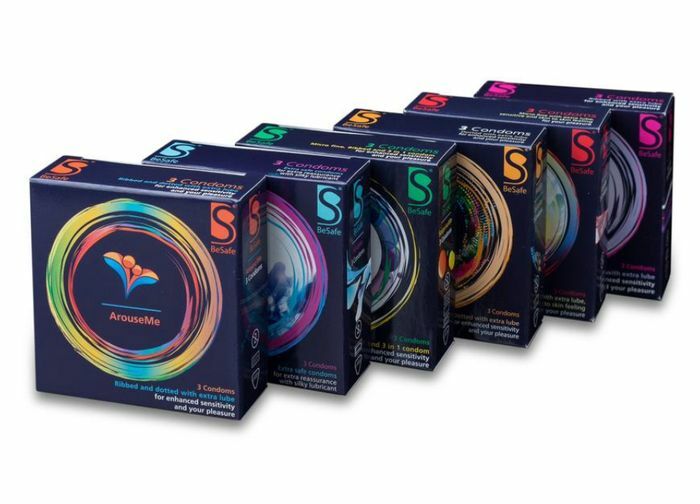 144 Condoms - Only £12.99 Delivered + 2 Free Hand Sanitisers! Add product to basket, wait for popup on right of page that says claim free hand sanitiser (it will be a red box). Then add code FREESHIPPING for free delivery. Comes in discreet packaging so no need to worry! So it only costs 9p per condom, now that's an amazing deal! What do you think of this Besafe deal? Wow not a bad price! Always better to be safe than sorry! Excellent price op thanks for sharing. These are ideal for anyone starting uni this September, you could add them to a hamper along with other essentials. That is really great price, specially condoms have 5 years expiry date (Product Expiry date: 03/202). I just purchased one and at the checkout i had option to add one free AUVA lip balm or a Besafe alcohol free hand sanitiser RRP of £3.40. Wouldn’t be able to use the last 4 as we’re out Monday night! I bought the offer last time, contacted them to send me later expiration date items, they send me december this year, started a dispute on PayPal to ask back my money and send back the condoms, they did not even answer. I would not risk my health using them as they might not be safe . You made me worried so i checked their website again. At their product page they have mentioned: (Product Expiry date: 03/2023). Hunter12 I did my purchase few months ago and complained at Paypal and to them, good news that this time they have a longer expiry package offer, I now look at my 156 condoms, afraid to use them..
you also get a free AUVA Lip balm or free Alcohol free hand sanitizer. Worst gum I've ever tasted - but it blows lovely bubbles. Just refreshed this deal as it's back again and they're giving away 2 x free hand sanitisers. hahaha loads of fruity remarks love it.thanks op. Good price, good deal, sorted. Nice one, thanks for sharing! What can be better than cheap condoms?